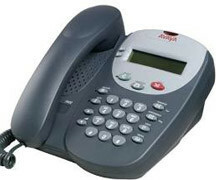 The 5602 IP Digital Telephone is an entry-level telephone with two programmable call appearance/feature keys, ten fixed feature buttons and a 2×24 character display. The 5602SW offers the same functionality plus an integrated two-port Ethernet switch. Both the 5602 and 5602SW support static and dynamic IP address assignment.